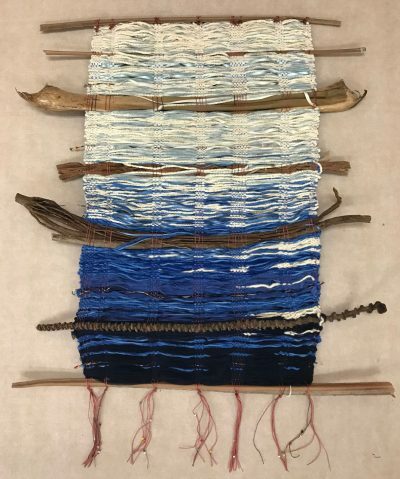 Local girl Ipo Kudlich is a talented mixed-media artist. 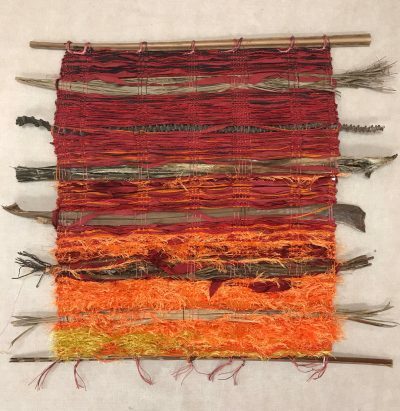 She is best known for her natural fiber weavings inspired by the vivid colors and natural materials of the Hawaiian Islands. 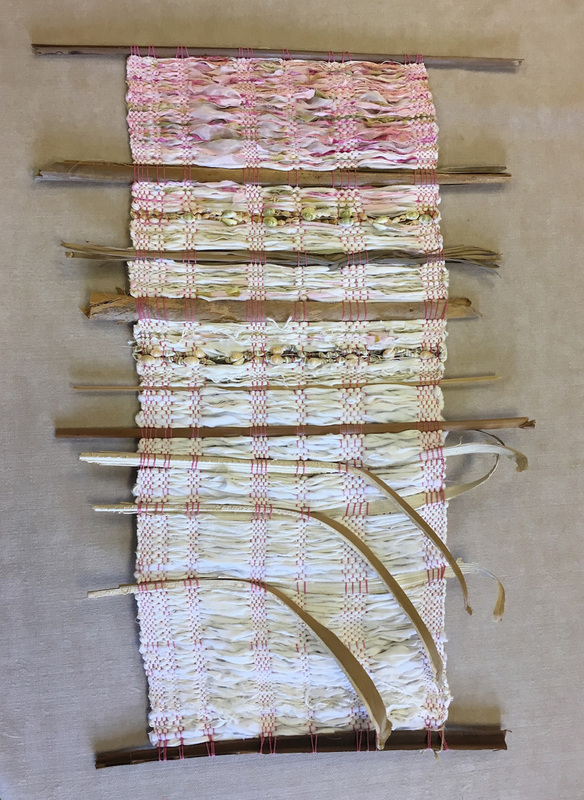 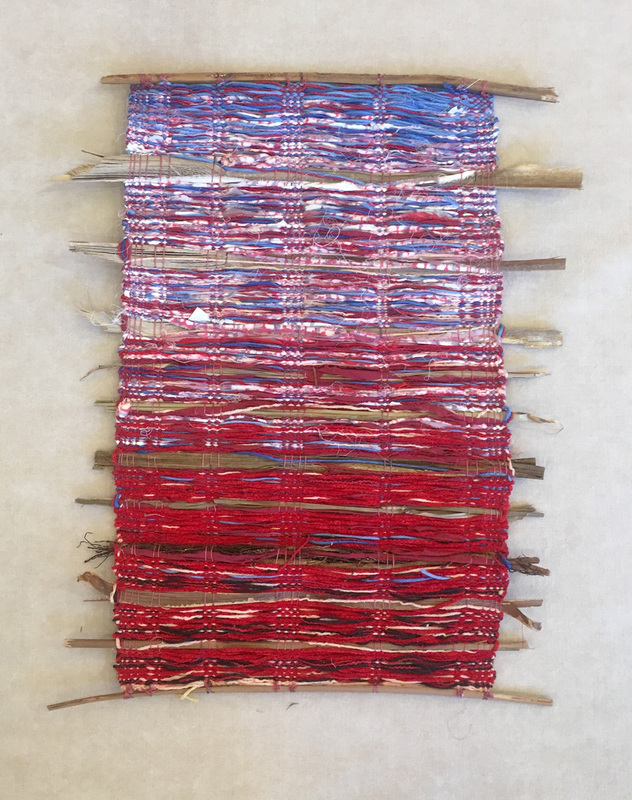 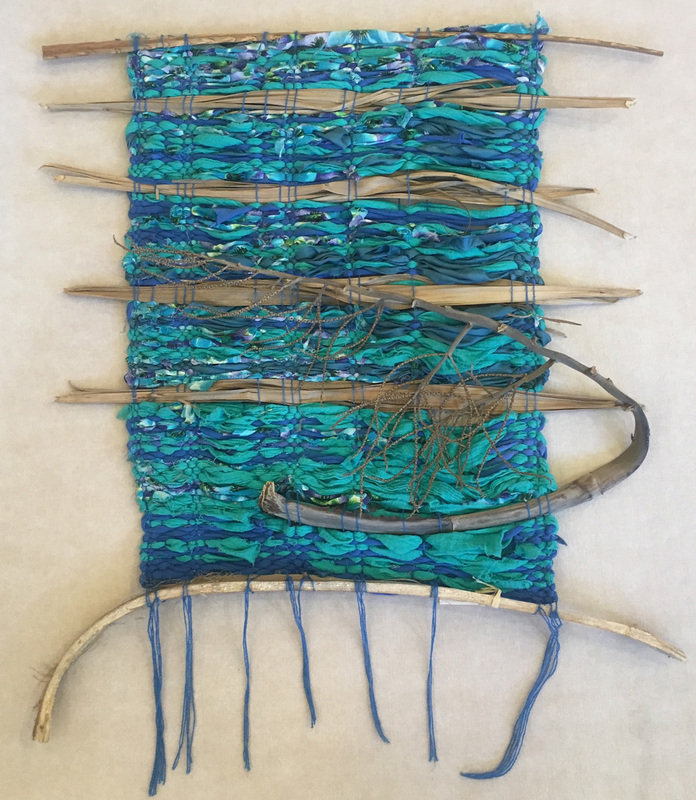 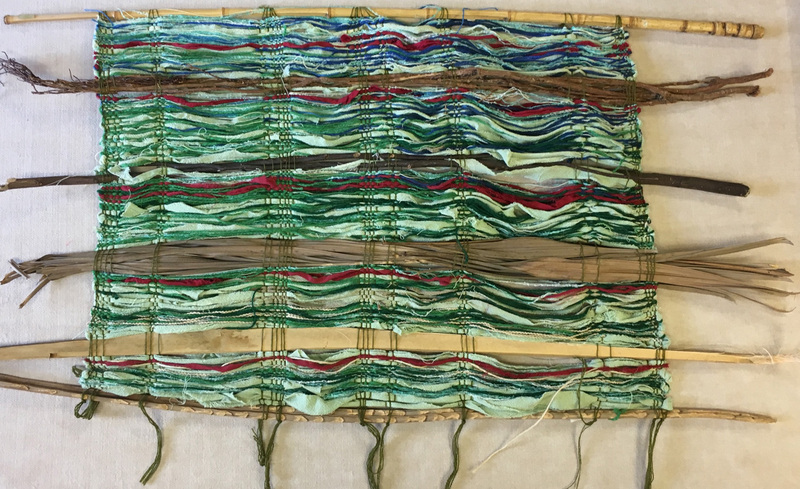 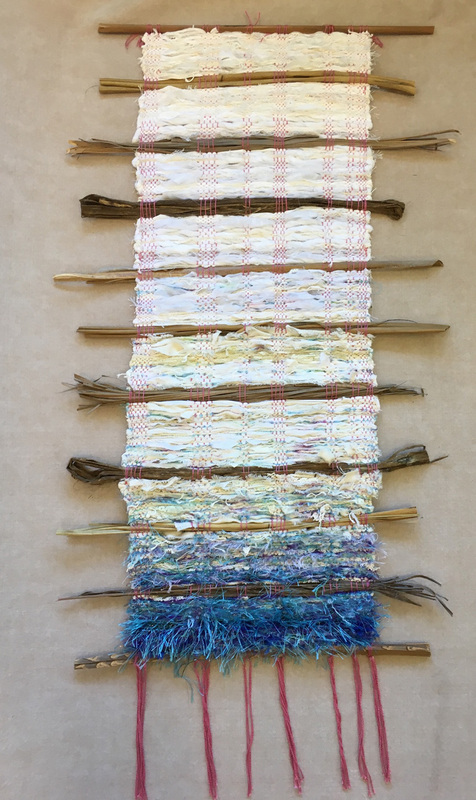 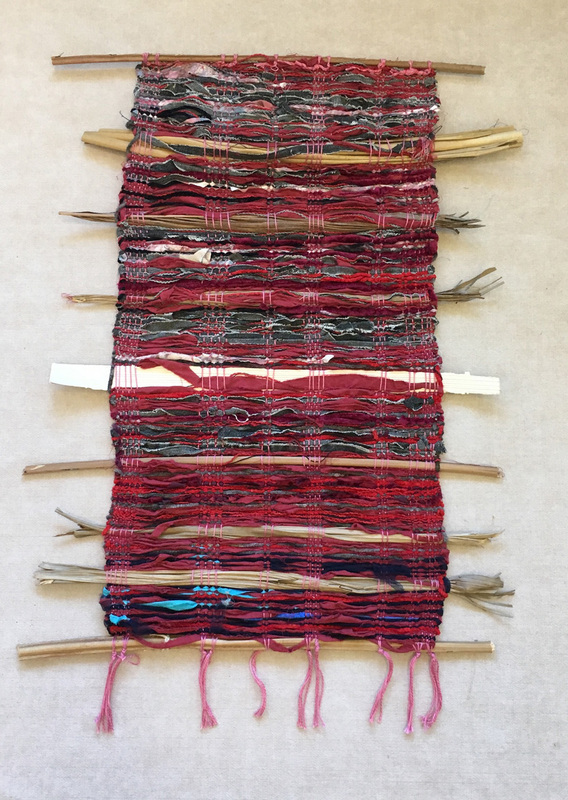 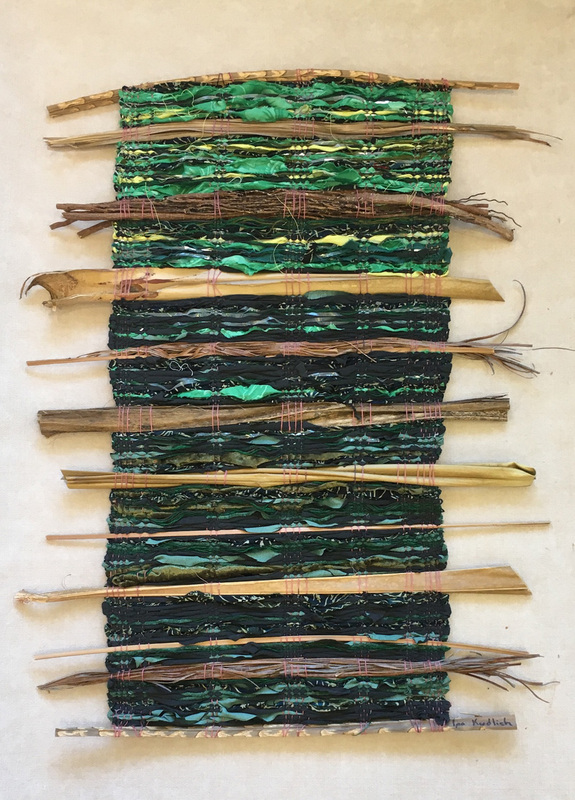 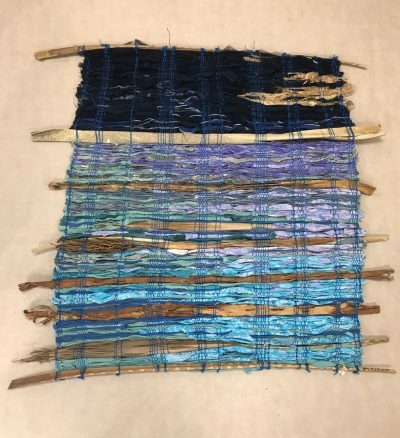 Royal palm, banyan root, and reeds are a few of the materials that Ipo collects and weaves on the loom she inherited from her father. 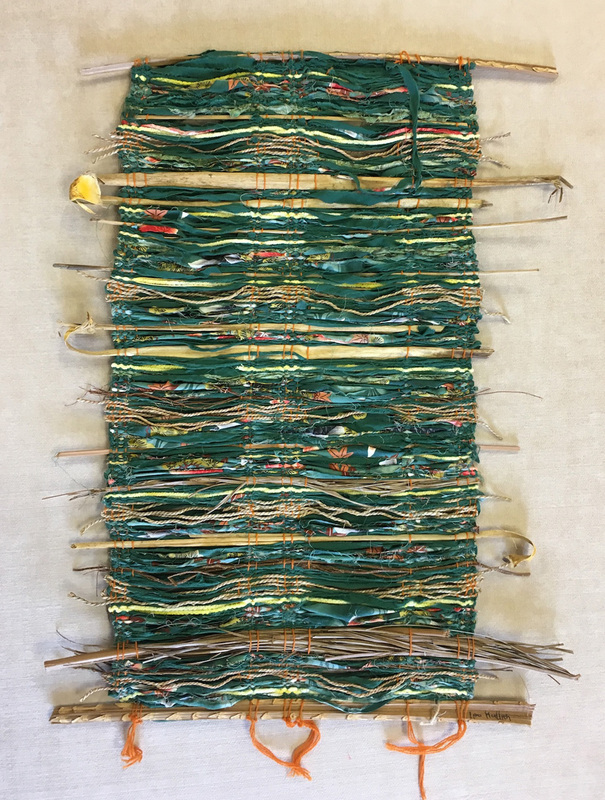 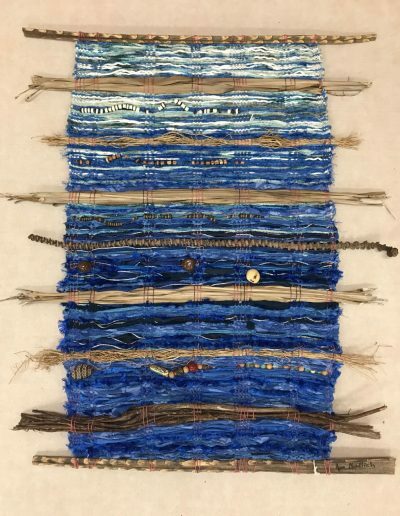 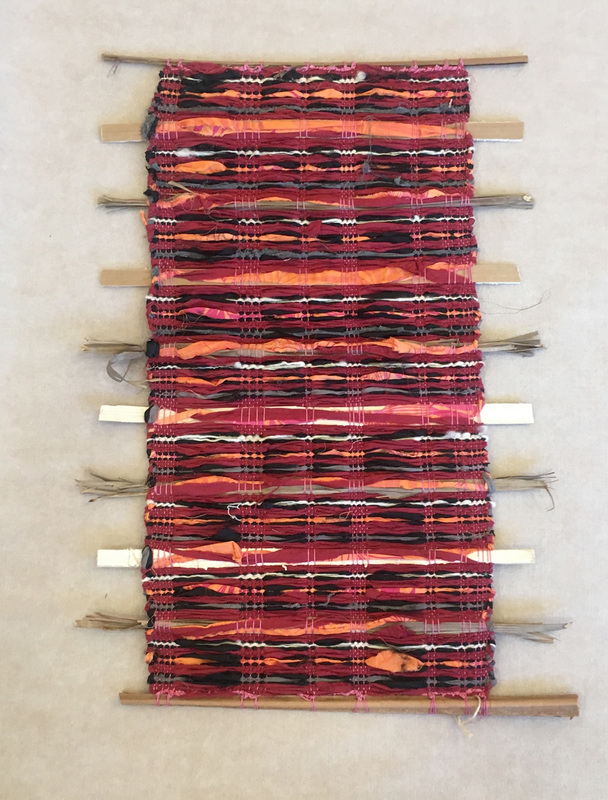 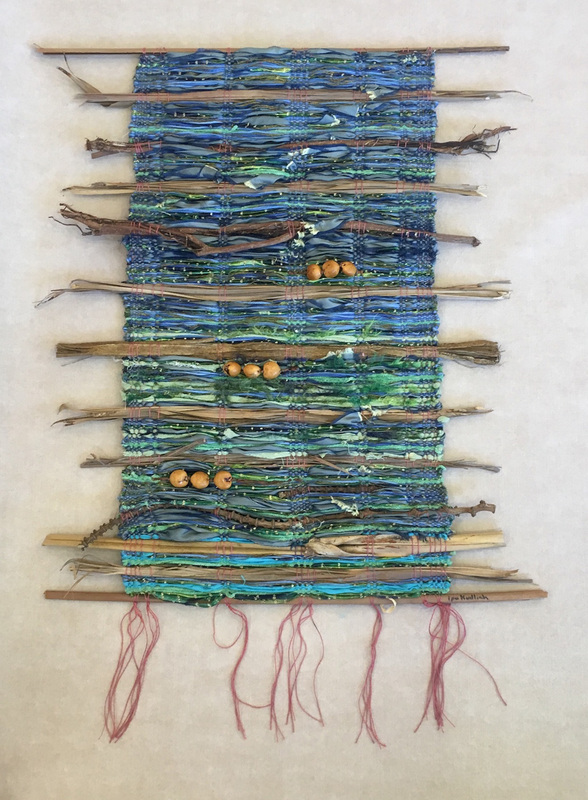 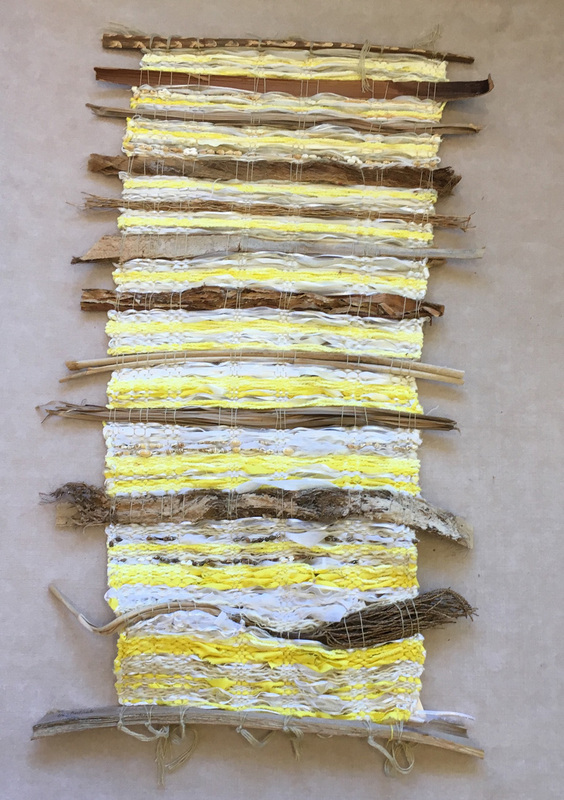 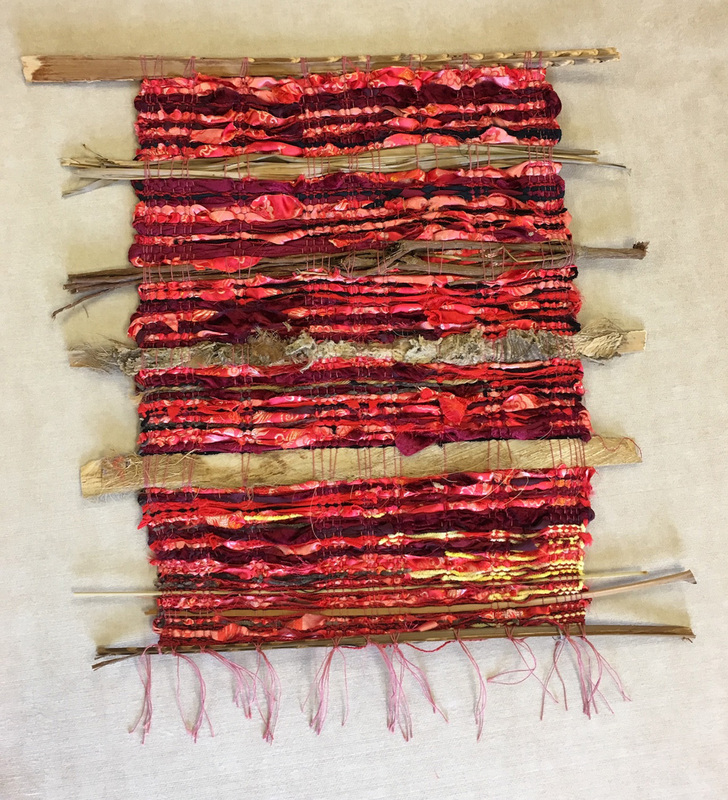 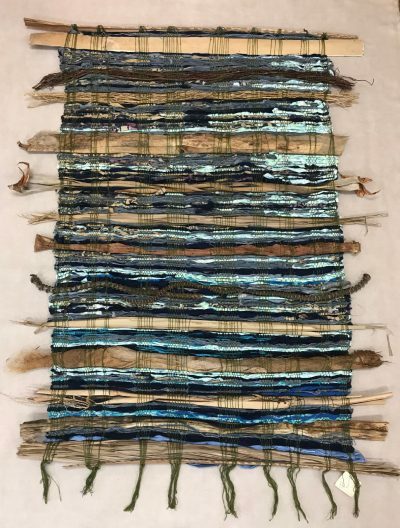 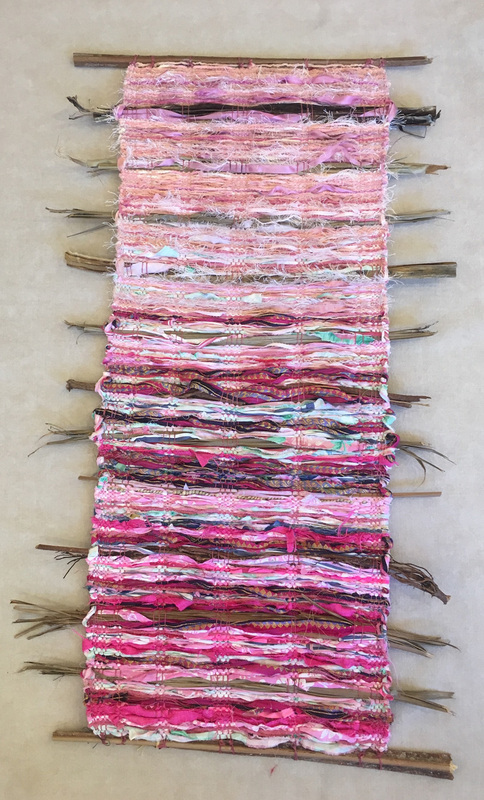 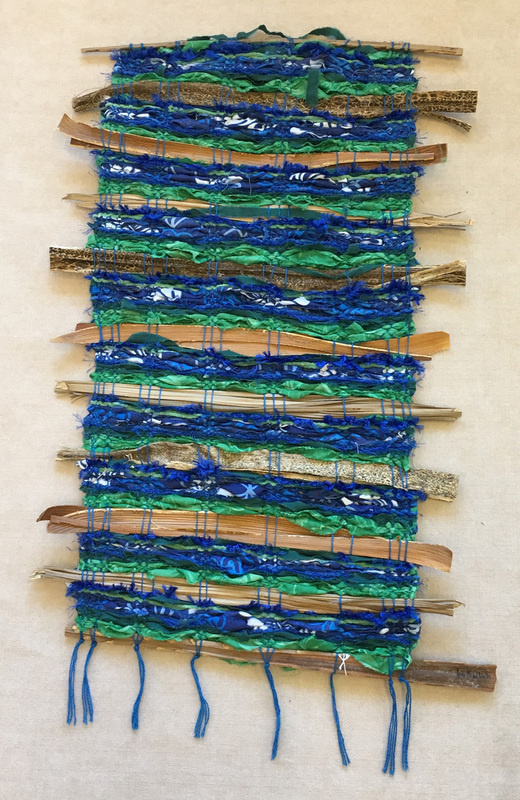 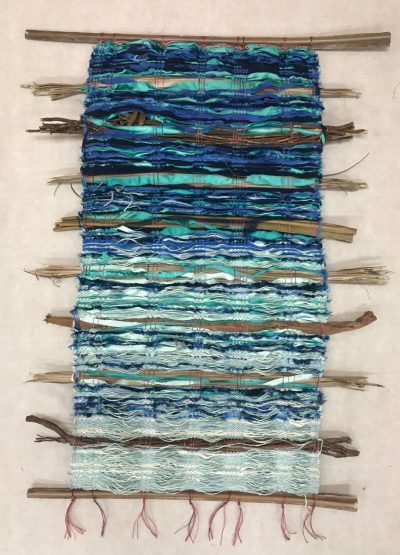 Some materials are hand died and some, including traditional Polynesian tapa, are woven au natural into her beautiful wall hangings and floor coverings, giving them a wonderful organic look and feel. 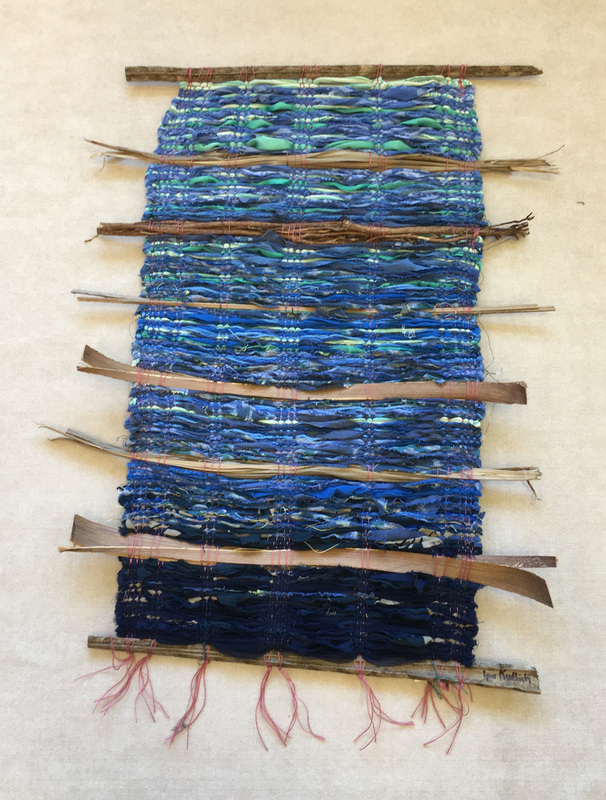 Her gift for expressive ceramic mask and vessel making rivals her weavings and can also be found in Maui’s galleries. 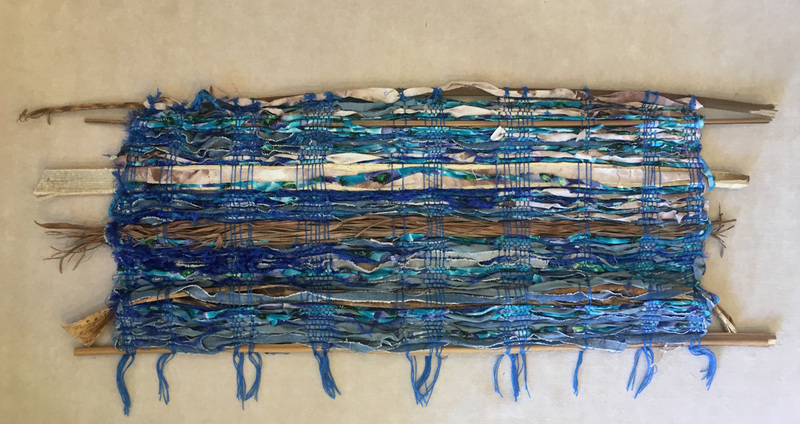 Ipo was born on Kauai and has lived on Maui since 1964. 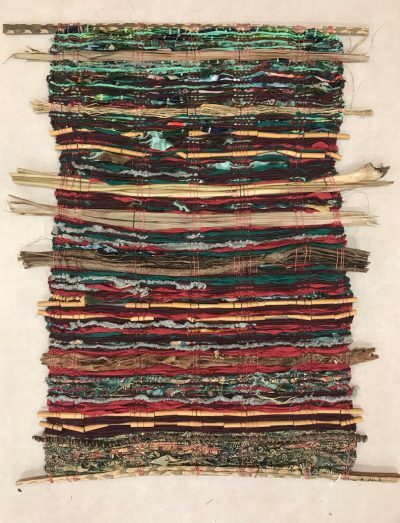 After graduating from Lahainaluna High school, Ipo attended the California College of Arts and Crafts where she earned her Bachelor of Fine Arts, specializing in textiles and ceramics.